As the Director of Global Initiatives and Board of Trustees Programs at the National Association of Independent Schools (NAIS), Ioana Suciu Wheeler develops new NAIS global partnerships, resources and international programs. Ioana Wheeler also speaks at various events and conferences nationally and internationally, on the subject of global education and the NAIS global programs. To read more about NAIS’s global education initiatives, visit http://www.nais.org. Ioana Wheeler joined the staff of NAIS in 2001, working with the Strategic Initiatives, Information, and Research Team before joining the Global Initiatives Team in February 2005. 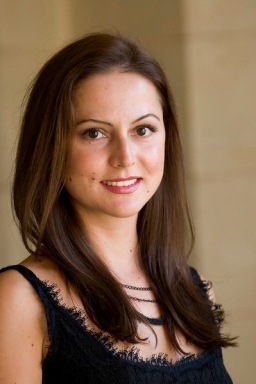 Prior to NAIS, she served as a News Photo Intern at Agence France Presse and as Program Assistant for the U.S. – Romania Action Commission at the Center for Strategic and International Studies in Washington, DC, where she conducted research on various issues related to Romania and Eastern Europe. Ioana Wheeler studied at Universite de Paris - Sorbonne as part of the World Capitals study abroad program, where she also interned at Citibank Paris. She holds a B.A. in International Relations and an M.A. in Journalism and Public Affairs from American University in Washington, DC and has completed an online global education course called “Teaching Leadership for Global Issues” at the School of International Training in Brattleboro, VT.